Pvt. 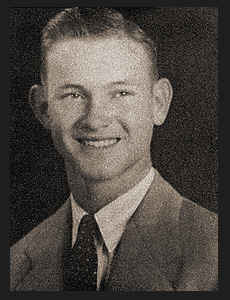 Ralph M. Whitworth, son of Mr. and Mrs. E. L. Whitworth, attended Frederick High School; husband of the former Betty Wilburn. Entered Army in Sept., 1945, trained in Camp Chaffee, Ark., and Camp Roberts, Cal., where he is now on duty.